Tim Burton’s new movie, a remake of “Dumbo,” is like cotton candy. It is wonderful to look at and enjoy but ultimately lacks substance. 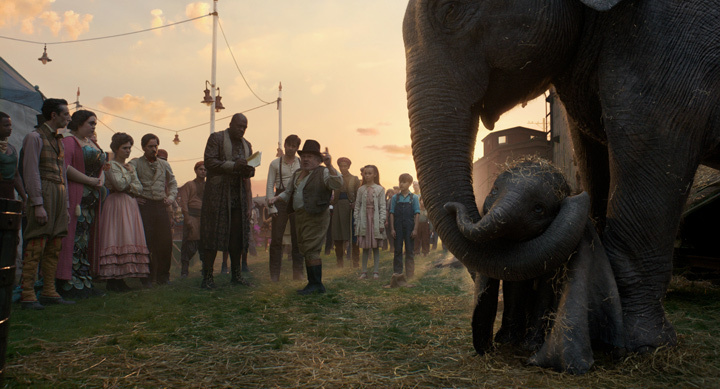 When I heard that “Dumbo” was being remade, I had to ask myself: why? The original 1941 version of “Dumbo” is considered by some to be a classic of animation and taut storytelling, clocking in at 64 minutes. For Disney, it was produced on the cheap after revenues did not meet expectations for “Pinocchio” and “Fantasia.” It was a huge success. Its positives include some beautiful animation, interesting imagery, and the phantasmagoric pink-elephant sequence. Its downsides include crows who are racist stereotypes and, by today’s standards, the fact that it is set in a circus. Viewers today may not realize how slowly the idea of treating animals humanely gained traction in the history of this country. This new version is set in 1919, and it is very doubtful that most people at that time cared about how animals were treated in a circus. When you see this movie, however, it becomes clear why Tim Burton wanted to remake “Dumbo.” It is heavy on spectacle and wonder. The film begins with the Medici Brothers Circus, led by Max Medici (Danny DeVito), steaming by train out of Florida. The circus is met at one of its stops by Holt Farrier (Colin Farrell) returning from service in World War I. His children Milly (Nico Parker) and Joe (Finley Hobbins) discover that their father has lost his left arm in the conflict. While Holt was away, his wife died from the Spanish influenza. She was the one who knew how to handle the kids, so now dad must make an effort to take her place. Holt had been famous for his horse acts in the circus. Now, during lean times, Max has sold the horses. He has bought, however, a pregnant elephant as he hopes that the baby will be cute enough to draw crowds. Holt is put in charge of the elephants. When the newborn arrives, he is christened “Dumbo” due to his oversize ears. 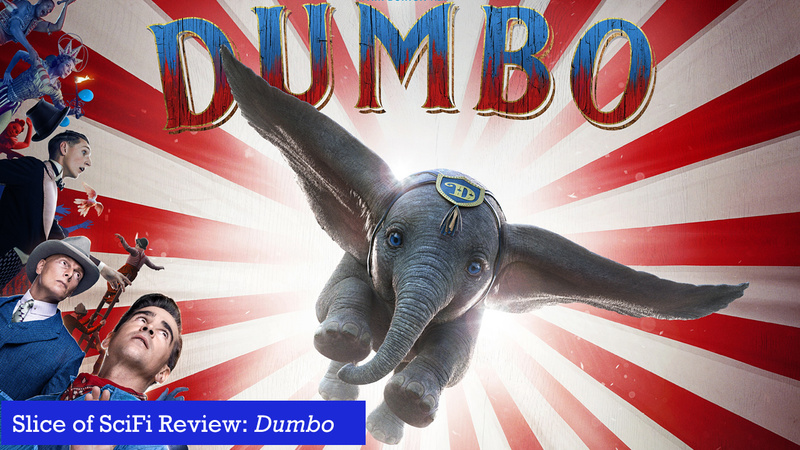 During a circus performance, Dumbo’s mother becomes alarmed when her son appears to be threatened, destroys the big top, and kills one of the handlers, who conveniently is evil so that no one cares about his death. Max resells Dumbo’s mom to her original owner. Dumbo is depressed but Holt’s children have discovered that he can fly. During the next circus performance, Dumbo flies and becomes a sensation. This turn of events brings V.A. Vandevere (an almost unrecognizable Michael Keaton) and his companion Colette Marchant (Eva Green) to meet with Max. 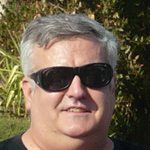 Vandevere makes Max an offer that he cannot refuse: Max becomes his partner on the condition that everyone in the current circus keeps their job. The next thing you know we are at Dreamland, an incredible amusement park centered around the Dumbo performance. Colette is an aerialist and so works with the Farriers to learn to fly with Dumbo. But, there’s a twist! Dumbo’s mom is in another exhibit at Dreamland. Will she and her son reunite? What nefarious activity is Vandevere up to? I must confess how thoroughly thrilling it is to see Dumbo fly. He is so cute and lifelike for a visual effect. His action sequences involving the circus and Dreamland are compellingly portrayed as you participate in the wonder of seeing an elephant soar. This is the movie’s strong suit. Whenever there is a performance of some kind, the level of detail that goes into the construction of these scenes puts you right in the middle of the arena. The effect can be positively breathtaking. Burton has added some wonderful extras as well as homages to the original Dumbo. These range from a Busby Berkeley inspired dance sequence to the use of blowing bubbles that become pink elephants. The opening train sequence mirrors the 1941 beginning and storks fly overhead when Dumbo is born. Dreamland itself is something Disney would have conceived in its scope and grandeur. Accented by Art Deco touches, it is a huge complex that any child would love to visit. But despite the action sequences, the wonderful visual effects and the beautiful sets, the acting is subpar. Everyone seems to be a caricature or a type. There is no depth to any character. This is not helped by the fact that there is really very little story here. The basic plot revolves around three themes: the outcast who makes good, the family that needs to heal from the loss of a loved one, and families need to be together. Each of these is sketched, not developed, in subservience to the grand performance pieces. In fact, this movie reminded me of “The Greatest Showman.” That film had great song and dance numbers but lagged whenever anyone had to actually act. And what about the circus and its treatment of animals? Let’s just say that Burton engages in a piece of historical revisionism at the end to deal with this fact. I honestly think that most families will love this picture. There are some intense sequences. I do have a concern with the running time of an hour and 52 minutes, which may be a bit long for children. The film provides an opportunity for families to discuss the history of circuses and their treatment of animals. It also opens discussion for the question of how animals should be treated in general. It is worth going just to see the magic of Dumbo and the worlds which Burton creates. The flaws in the screenplay and acting won’t matter in the end as they are so overwhelmed by the sheer scope of the visuals.